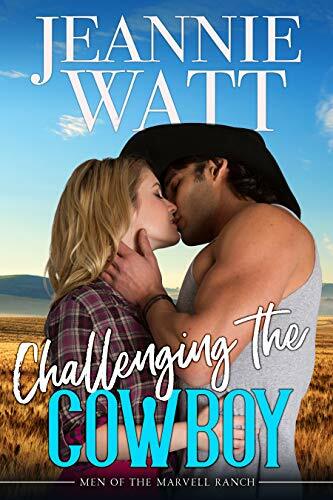 Zach Marvell’s word is law on the ranch — or it was until she showed up. Zach Marvell’s been running the family Marvell Ranch without interference since he was fifteen, but when Finley James arrives for her sister’s wedding and proceeds to ask questions, give advice and tell him a few unpleasant facts about himself, he’s annoyed. And then intrigued. Horse trainer Finley James has been perfectly happy floating from job to job until her parents sell the family ranch in Nevada and she no longer has a safety net. She’s not worried as she’s landed a job at a top horse training facility, but that lasts less than a week when Finley, who’s never held back her opinions, tells a wealthy client a truth he doesn’t want to hear. Hat in hand she returns to Marvel Ranch hoping Zach will give her a short term job until she can figure out her next move. Finley knows promising to not interfere or makes waves will be tough. Who knew keeping her hands and her heart to herself would be her biggest challenge?